NEW YORK, February 12, 2018	(Newswire.com) - Black Book™ Research surveyed 7,459 physicians, health administrators, technology managers and clinical leaders in ambulatory and inpatient settings across 23 foreign countries to help global stakeholders identify gaps, challenges and successes in healthcare IT adoption and records systems connectivity. Two thousand three hundred and eighty-eight providers and regional healthcare delivery organizations across the globe also responded to questions on planned HIT acquisitions, budgets, timetables and vendor awareness. The 98-page "State of the Global EHR Industry, 2018" report released today highlights nations in various phases of regional EHR adoption. Surveys during the seven-month poll of system users also aimed to rate the performance of healthcare technology vendors on client experience and customer satisfaction in those respective locations. As noted by a 90 percent consensus of international respondents, there is an enduring confusion on the definition of a highly interoperable EHR system outside the United States. Seventy-two percent stated in 2017 that their regional preferable strategy for electronic health records is to link disparate systems through messaging, APIs, web services and clinical portals. Only seven percent of all international EHR survey respondents described their regional HIT system as having "meaningfully connectivity" with other providers. 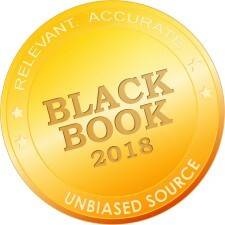 Black Book polls confirmed a pending shift from siloed EHR systems for regions of healthcare delivery organizations in Europe, the Middle East and South Asia where nearly 57 percent of Q4 2017 respondents anticipate a move to comprehensive healthcare IT systems with data exchange and care coordination capabilities similar to the global offerings of current U.S.-based vendors by 2023. Over half of the total survey participants were sourced from 10 highly advancing HIT regions including five foreign countries with near 100 percent EHR adoption rates and evidence of extensive use of enterprise technology tools: Norway, Netherlands, United Kingdom, New Zealand and Australia; and five countries with over 75 percent provider adoption rates: Germany, France, Canada, Switzerland and Singapore. The polling extended from June 2017 through January 2018 with a total of 11,838 responses gathered, including 1,991 provider respondents in the assessment, vendor selection and/or implementation stages of EHR. Countries were scored on ICT infrastructure, secure health networking, data storage and exchange capabilities, national health technology policy, available funding and protection of privacy. Among those regions with progressive EHR adoption initiatives but significantly lacking in a major component of readiness in Q1 2018 are Japan, China, Qatar, Brazil, Taiwan, India and Russia. All these regions received a majority (51 percent-plus) of provider feedback scores that indicated current infrastructure situations prohibit EHR adoption. The countries deemed to have the highest potential for progressing EHR interoperability and expanded HIT functionalities beyond their local regions are in ranked order: New Zealand, Denmark, Israel, Singapore, Netherlands, Germany, Hong Kong, Norway, Australia, Canada, Sweden, Finland, United Kingdom, Switzerland and France, according to the survey. "A number of countries have launched national initiatives to develop ICT-based health solutions including EHR systems and have progressed well, despite several hurdles," said Doug Brown, managing partner of Black Book Research. "As the obstacles are clearing with technological and non-technological interventions, approved standards and regulatory frameworks, funding and health-tech guidelines, the growth opportunities for U.S.-based global EHR vendors magnify as well." Vendors were ranked on 18 key performance indicators with evaluation criteria concentrated on ambulatory EHR, inpatient EHR, interoperability and health data exchange, population health, care coordination and cybersecurity and privacy capabilities. Eighty-three percent of current EHR users in Europe (outside of the United Kingdom) expressed significant frustration with country-specific and local vendors that typically serve only one country with limited components, such as coding, scheduling and results reporting. Of those current clients, 72 percent of respondents revealed those system limitations will lead to the replacement of their local and/or country-specific EHR with a global player to support their wider needs by 2023. “With several U.S. EHR-based vendors continuing to focus considerable resources toward global development technology efforts in advancing healthcare economies, it is critical that foreign governments and medical-delivery organizations match their specific needs, financial situation and timetables with vendors’ product roadmaps as to not be swept away by a vendor's promises to selfishly gain global marketshare," said Brown. As regions vary with language, cultures, government policy and medical-delivery network models, so does the client experience scoring for EHR vendors from country to country. Full Results are available at www.blackbookmarketresearch.com. Highlights from the 2018 State of the Global EHR Industry Report include research indicating global healthcare spending on EMR/EHR technology is expected to top $25.1 billion USD in 2017 and continue growing to over $30.2 billion by 2020. "The global healthcare sector is undergoing a wave of transformation, with digitization being the core focus area of service providers," said Brown. "Healthcare IT products, services and systems are in high demand in nations significantly upgrading their healthcare infrastructures such as Singapore, Israel, Japan and Italy, as well as infrastructure-generating nations of India, China, Brazil, Qatar and Indonesia." This investment on ICT infrastructure for healthcare technology is expected to propel double-digit growth of the electronic health records market spend in these specific regions through 2026. Deployment of proper ICT infrastructure coupled with support government funding and policy and intense personnel training would be required to support the growth of EHR markets in the emerging healthcare economies of China and India. As the majority of the populations in Africa, Central and South America and Eastern Europe belong to the bottom of the developing healthcare technology pyramid, the high cost of some EHR systems will remain a major hindrance for growth of the EHR, care coordination and HIE market. Regional and local EHR companies are expected to gain ground in those areas by offering low-cost products through 2022. "Supportive regulations and indications of favorable government incentives to implement EHR systems would be a major boosting factor for healthcare facilities in emerging economies, particularly the Middle East and Central Europe," said Brown. Web-based EHR segment which dominated the global EHR market in 2016 and 2017 owing to the large-scale adoption of these EHR systems as they support low-cost installations favorable for small-scale healthcare institutions with minimal connectivity or care coordination initiatives in play. Acute EHR segment accounted for nearly half of the overall international EHR market in 2017 whereas post-acute and ancillary EHR segment is projected to stage the fastest growth going forward after Q1 2020. The health information technology market across Asia is expected to witness the fastest growth throughout the forecast period while growing with a high single-digit CAGR. This significant growth can be attributed to the increasing demand for improved healthcare infrastructure by the population in the region, in particular, Singapore, Philippines, Malaysia, Japan, China, India and Taiwan in 2019. 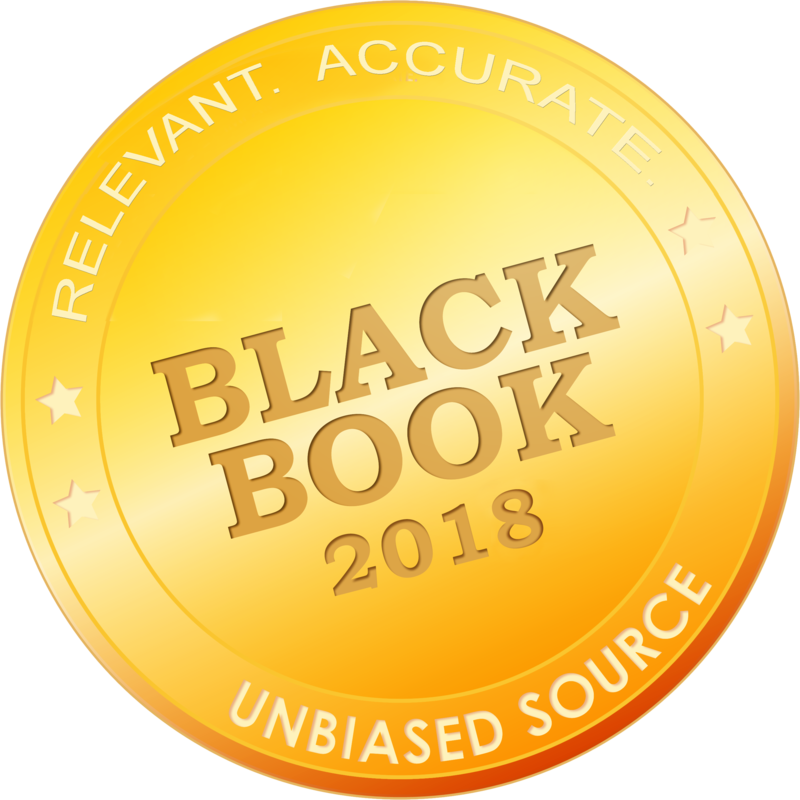 Since 2000, Black Book™ has polled vendor satisfaction across over 30 industries in the software and services sectors around the globe. Black Book’s mission is to improve healthcare delivery by expanding the stakeholder's voice from the front-line employee, IT and financial managers, clinical and nursing staff through the C-suite and board, as well as healthcare consumers. For methodology, auditing, resources, comprehensive research and ranking data see http://www.blackbookmarketresearch.com.